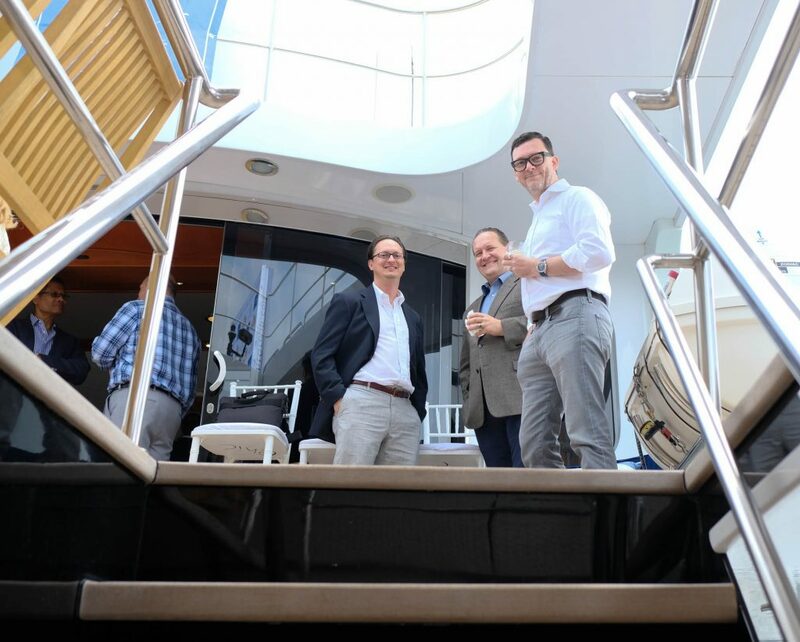 Monterey CA, August 26th, 2018 – Setting itself apart from the melée of automotive houses and tents spread across the Monterey Peninsula and beyond, My Yacht® Group (MYG) once again welcomed VIP guests and brand partners aboard its superyacht during the world famous automotive gathering, August 23-26, that includes rallies, historic car races, high value auctions, and that saw a 1937 Alfa Romeo 8C 2900B Touring Berlinetta take Best of Show at Sunday’s Concours d’Elegance. 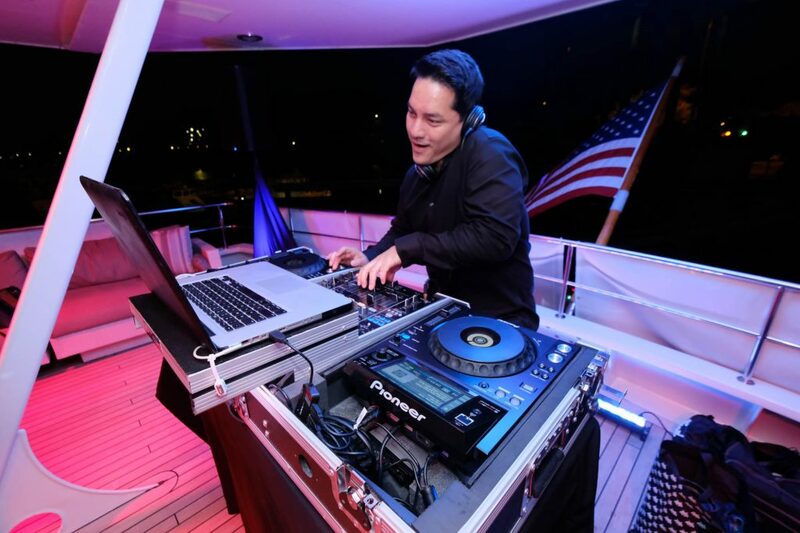 MYG’s two days of events signaled the USA debut of BlockChain Royale, and its follow-up event to a hugely successful launch during the 2018 Monaco F1 weekend in May. 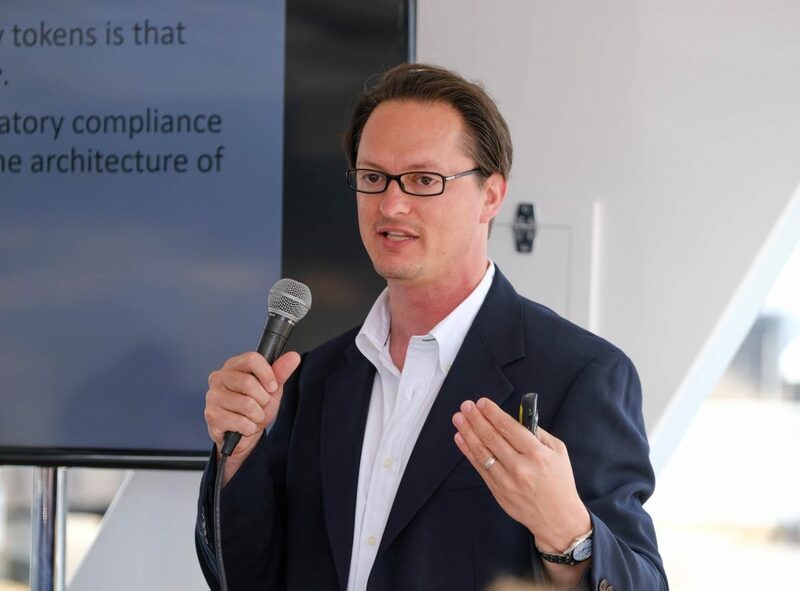 Introduced by MYG CEO and Founder, Nicholas Frankl – well-known in automotive circles through 25+ years of USA and global marketing collaborations with many of the world’s leading automotive manufacturers and suppliers, in addition to testing and commenting on cars, plus a stint with the Ferrari F1 team – the gathering welcomed key figures in the blockchain community plus leaders in the automotive and real estate realms, addressing a variety of subjects including tokenized securities, the tokenization of real estate, blockchain’s impact on the future of automotive transactions and production, and more. The roster of speakers were: Patrick Campos, Chief Strategy Officer, Securrency; Stephen McKeon, Finance Professor at University of Oregon; Michael Mathias, CEO, DasCoin; Vince Molinari, Co-Founder, Templum Inc.; Stephane De Baets, Founder and President, Elevated Returns; and Federico Foschini, Chief Commercial Officer, Automobili Lamborghini. 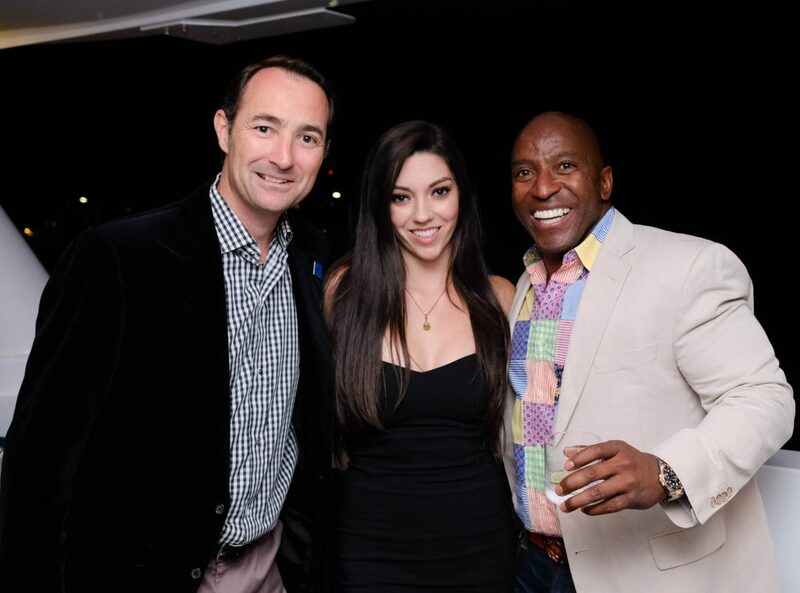 Among those keen to learn more were Indy 500 Champion and current F1 Steward, Danny Sullivan; Roh Habibi of BravoTV’s Million Dollar Listing; Frmr. 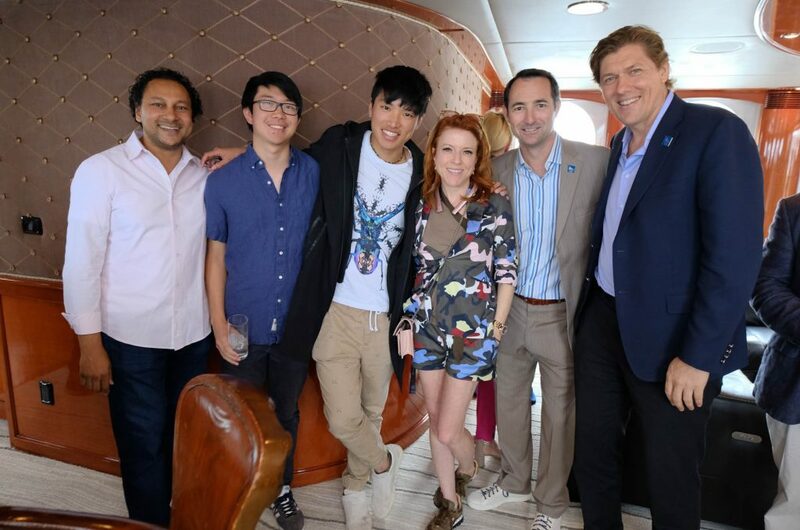 Ferrari Club of America President, Harold Wong; Denver Nuggets NBA player Isaiah Thomas; Alessandro Farmeschi, CEO, Lamborghini of America; and Charlie Vogelheim, President of Motor Press Guild, plus prolific automotive collectors, leading real estate developers, and members of the blockchain community. 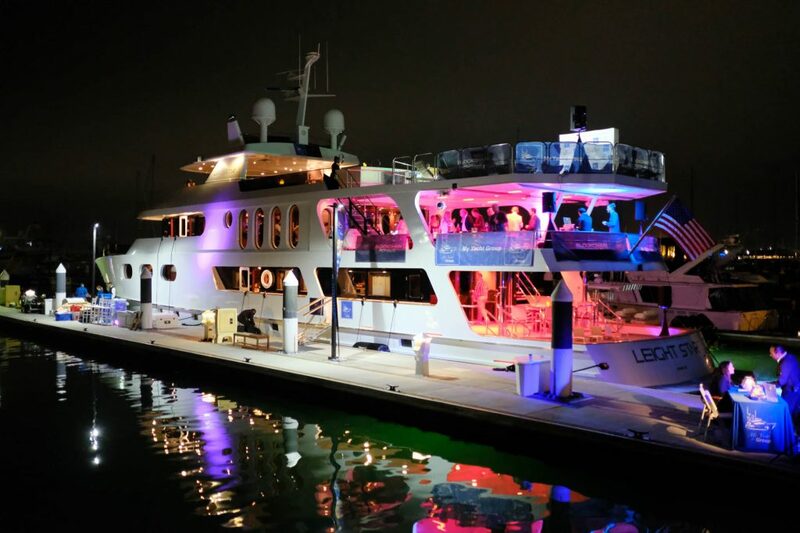 The 150’ superyacht M/Y Leight Star, previously ‘home’ to MYG’s 2017 LA reception, provided a spacious setting for both the daytime lunch summit and the larger charity reception, and made for an impressive sight among the more traditional sailing and fishing boats, drawing the attention of local residents and Monterey’s protected marine life alike! 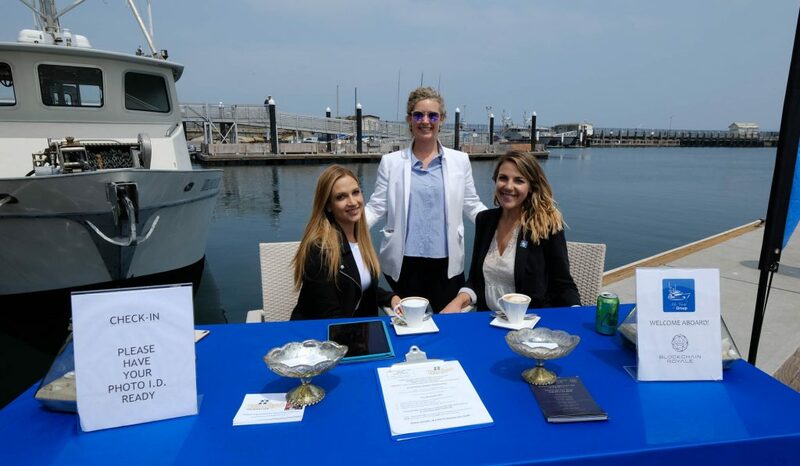 Adding some serious sparkle to the mid-deck lounge, Gunderson’s Jewelers Private Client Group showcased a range of fine jewelry and timepieces, with strong sales on both days. Standout items included a 9ct. oval diamond engagement ring priced at $560,000, and #003/188 Limited Edition Carl F. Bucherer Manero Tourbillon, priced at $108,000. 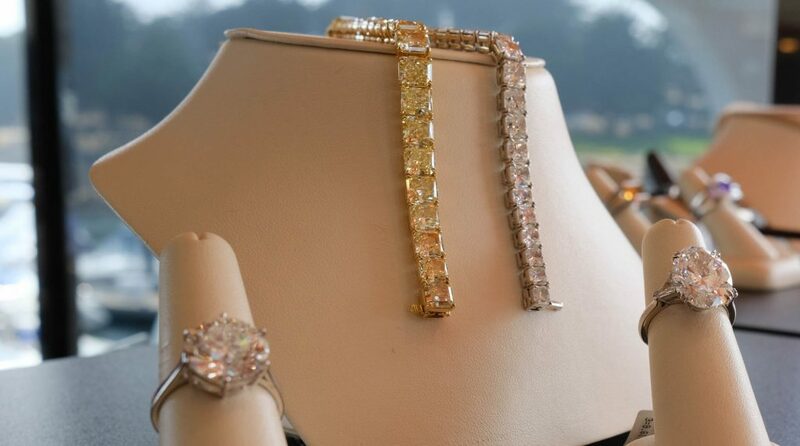 Established in 1946, this third-generation company works on a commission basis with clients worldwide who appreciate transparency and the ability to know the value of the jewelry or watch they want to secure. The world’s first Super Sport Utility Vehicle, the Lamborghini Urus, proved extremely popular as it took pride of place welcoming guests. Remaining loyal to its unmistakable DNA, a 640HP V8 bi-turbo, advanced 4WD system, plus luxurious Italian craftsmanship, wrapped in extreme proportions, blend pure Lamborghini design & outstanding performance. 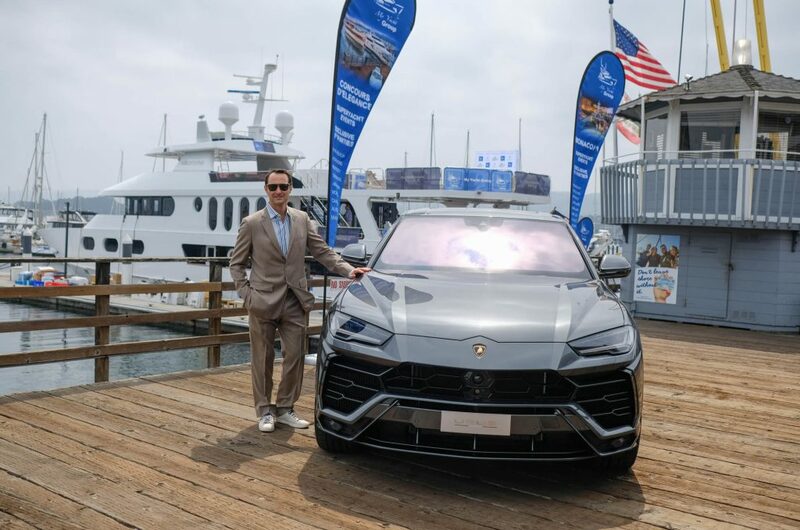 As Mr. Farmeschi remarked aboard, the vehicle has attracted ‘unprecedented’ attention and demand, not least among the blockchain community, for whom Lamborghini is the ‘must have’ marque. 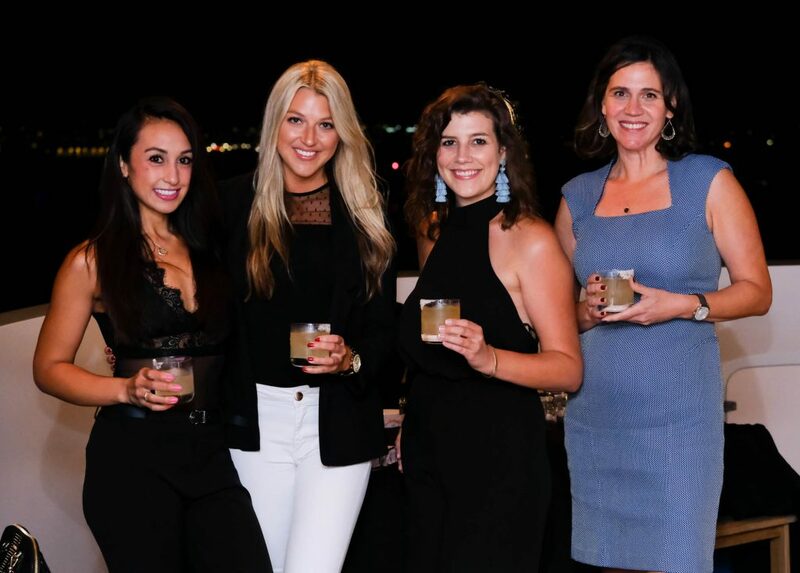 In keeping with all MYG events, the charity reception raised both funds and awareness for one of its long-term charitable partners, the Blue Angels Foundation. 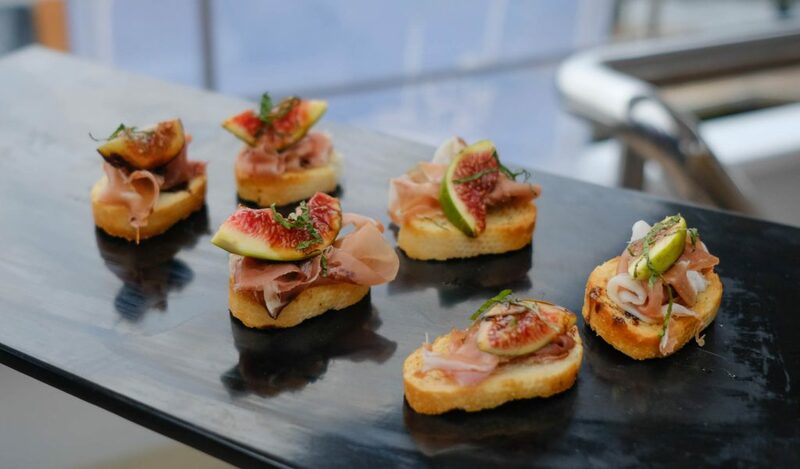 An on board silent auction of large format fine wines courtesy of Blackbird Vineyard’s Bespoke Collection, plus Far Niente’s new Bella Union, along with pledges and donations will wholly benefit the important works of BAF, whose mission is to support wounded veterans. With 22 veterans committing suicide every day, BAF works on understanding & resolving PTSD, saving lives and promoting positive transitions back to the civilian community and a life of dignity and fulfillment for wounded veterans & their families. 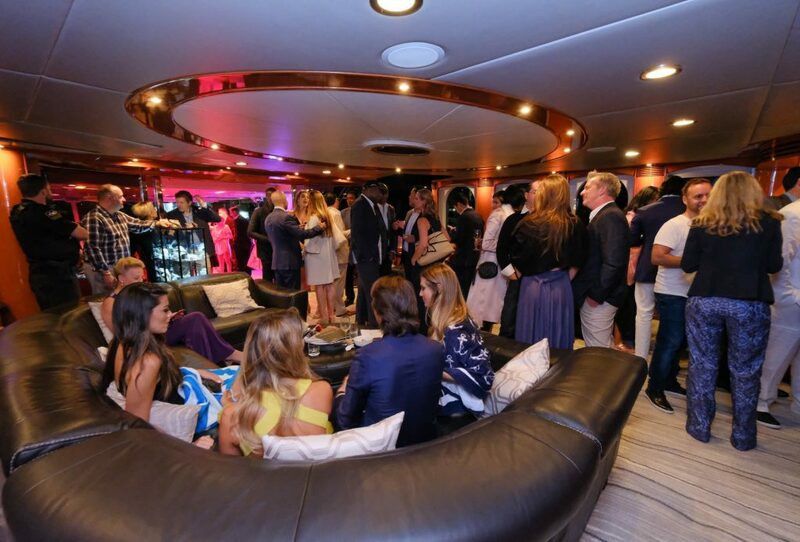 Additional partners aboard included family owned and traditional Savile Row bespoke tailors, Stowers of London, outfitting Frankl in a custom jacket. Rebecca Creek Distillery returned to pour its fine Texas whiskey and Enchanted Rock premium vodka, while El Jefe Tequila Nitro Draft Margaritas proved an instant hit, while a variety of Serenity Lane wines, from the exclusive private Danville estate that’s currently on the market for $25M, complemented a fine selection of foods from leading local farm-to-table caterers AquaTerra Culinary.